Martin Audio’s MLA (Multi-cellular Loudspeaker Array) system changed the sonic landscape around the globe this summer — providing an acoustic experience and uniting the audience at premier festivals, concerts and other outdoor events as never before. 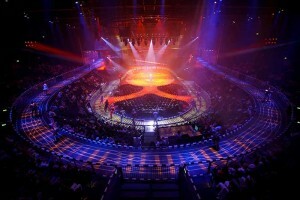 For promoters and production teams MLA enabled them to meet traditional challenges head on for the first time. The multi award-winning system’s ability to provide uniform coverage right across the soundfield was matched by its scientifically proven reduction of offsite spillage and noise pollution to well within local authority thresholds. With MLA’s ability to sonically ‘map’ a site — optimising audience areas and ‘hard avoiding’ objects that might create reverberation or slapback — it has rapidly become a go-to system for promoters and local authorities alike. 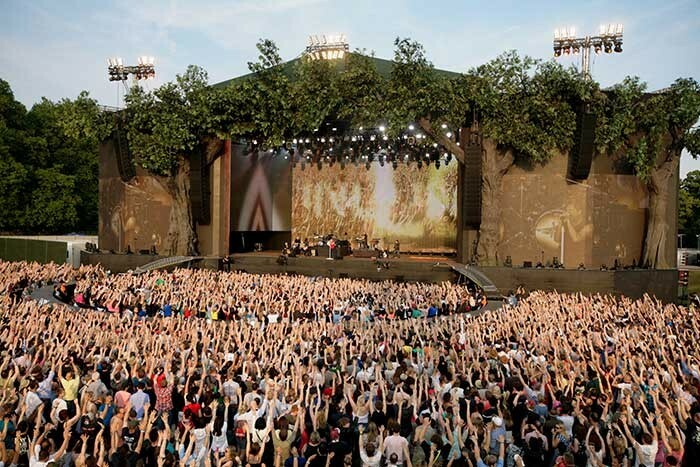 There was no finer example of the award-winning system’s powers than at AEG Live’s Barclaycard British Summer Time Festival at Hyde Park, featuring the Rolling Stones and Bon Jovi. Historically dogged by offsite noise pollution and neighbourhood complaints Hyde Park had become a political hot potato. Thus new tenants AEG/Loud Sound acted accordingly. Jim King, AEG live events director, explained: “We wanted to manage the whole process dynamically without having to turn [volume levels] down. We needed to set a system in place that would deal with the issues.” And with the Martin Audio MLA (of which King already had experience) Capital Sound provided the solution. 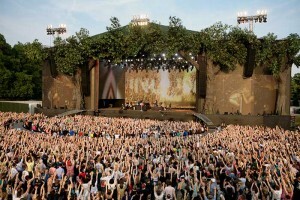 Thus just two weeks after The Killers had played to their largest audience ever through this system at Wembley Stadium, MLA headed across London to Hyde Park to demonstrate that the advance level of control would maintain an offsite level beneath the stipulated 75dB(A) threshold, raising the infield levels by as much as 6dB from previous years to around 100dB(A). It was the same story at the National Heritage-owned Kenwood House in Hampstead — another London landmark site traditionally blighted by neighbourhood complaints until Cap Sound’s MLA came along. Word about MLA and its ground breaking claims have quickly migrated and its reputation has stretched far beyond British shores. The Japanese market, for one, has fallen in love with the system. MSI Japan fielded several systems that performed to no fewer than 177,000 people at Rock In Japan, while the mighty Hibino Sound has also purchased a system. Managing director, Ryoichi Hashimoto, confirmed that it would offer the same panacea. 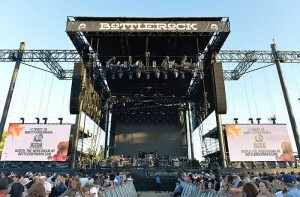 “We decided on the MLA investment because the promoters of summer outdoor festivals are increasingly demanding the absence of delay towers from festival sites and a need to solve offsite noise issues,” he said. 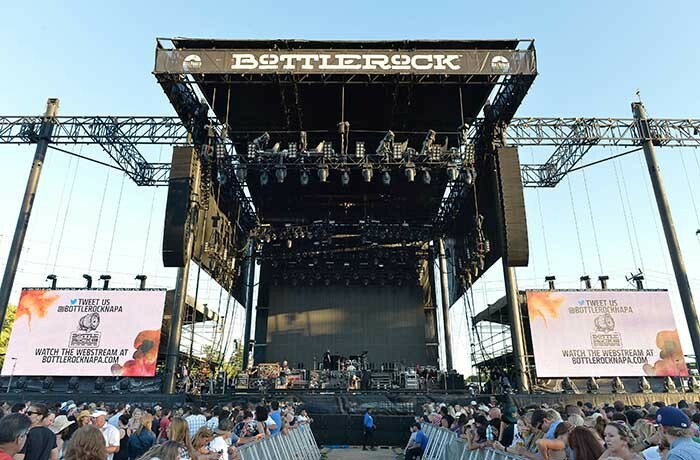 While Delicate Productions’ full MLA was out at the BottleRock Napa Valley Festival in California, 3G Productions equipped the Electric Daisy Carnival (EDC) dance festivals in New York, Chicago and Las Vegas — including a Martin Audio MLA. With eight of the world’s Top 10 DJs, and more than 200 acts performing on seven stages for over 350,000 attendees at the Las Vegas Motor Speedway, MLA provided the power and coverage they needed inside the venue while controlling noise spillage to surrounding residential areas. Nor have the worlds of classical music or top quality musical theatre missed out. RG Jones continue to delight orchestras (as well as audiences) at the Raymond Gubbay Classical Spectaculars with MLA while the German production of Starlight Express celebrated its 25th anniversary at Bochum’s Stadionring by commissioning a permanently installed MLA Compact sound system to handle “the fastest musical in the universe” — with the full approval of Sir. Andrew Lloyd Webber! But Martin Audio is far from a one-trick pony. The globally renowned Glastonbury Festival saw Martin Audio on duty at the main Pyramid Stage for the fifth consecutive time — but this time it was with the far-throw characteristics of the Martin Audio W8L Longbow line array system, which had proven itself outdoors at stadiums on the Take That tour the previous summer. With visiting artists and sound engineers so complimentary about the W8L Longbow system last time Glastonbury was held, sound company RG Jones were comfortable that it would again meet all compliances and propagation tests set by the acoustics consultants and organiser Michael Eavis … and at the same time satisfy the vast crowds.